Guests at Aruba Surf Resort will truly enjoy a rewarding and satisfying holiday at the Gold Coast. 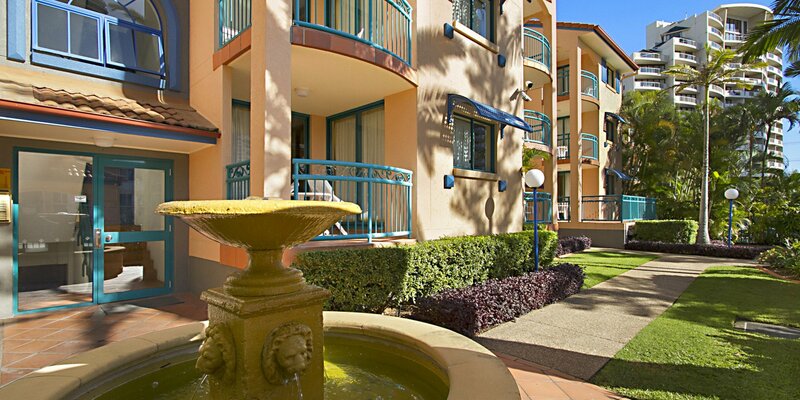 The lovely Broadbeach resort accommodation will not only provide you with excellent accommodation but will also take you to the most thrilling places in the region. Just a mere short stroll from the Gold Coast budget accommodation, you'll find the sun-drenched patrolled shores in Broadbeach. Ideal for swimming and surfing, the sparkling beaches in Gold Coast offer plenty of delightful activities that you can engage in while enjoying your beach holiday. Soak up the sun and the fabulous scenery while getting a good tan. A good game of beach volley ball and Frisbee is also a great bonding activity with the kids. Families can also share delightful picnic lunch at the beachside. 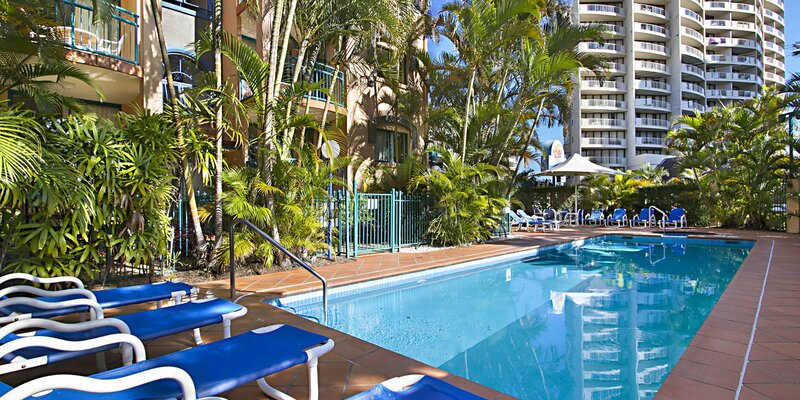 The Broadbeach is renowned for its superb restaurants that offer only the best gastronomy in the region. 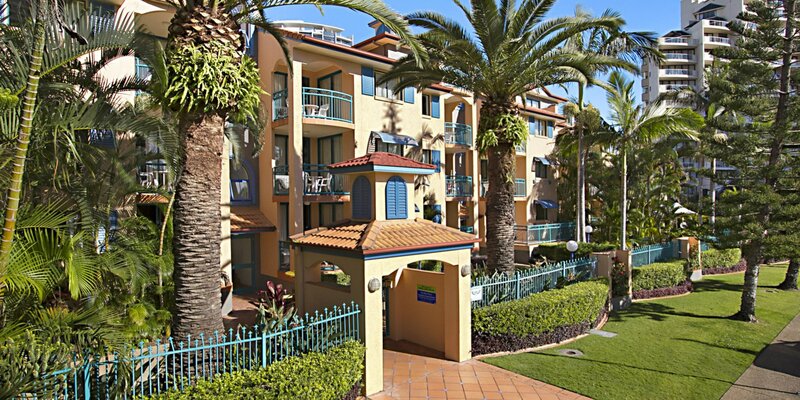 Tourists at the Broadbeach holiday apartments can have their fill of scrumptious cuisines at the most innovative restaurants and bistros in the suburb. You can choose from more than 500 restaurants in Broadbeach. Aside from dining out, guests at the Broadbeach resort accommodation can spurge on a shopping spree at Pacific Fair, Oasis and Niecon shopping centres. 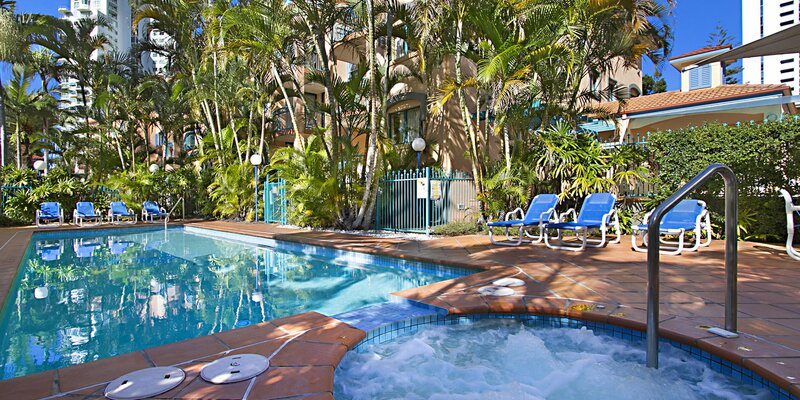 The Gold Coast is the perfect destination for your family holidays. The Coast with the Most is home to some of the most famous theme parks in the country. Experience wildlife encounters at Sea World and Currumbin Wildlife Sanctuary. Visitors at the Broadbeach resort accommodation can get heaps of fun as they glide down the giant water slides at the Wet 'n Wild Water World. You and your kids will definitely get a kick at the heart-pumping thrill rides in Movie Word and Dreamworld.